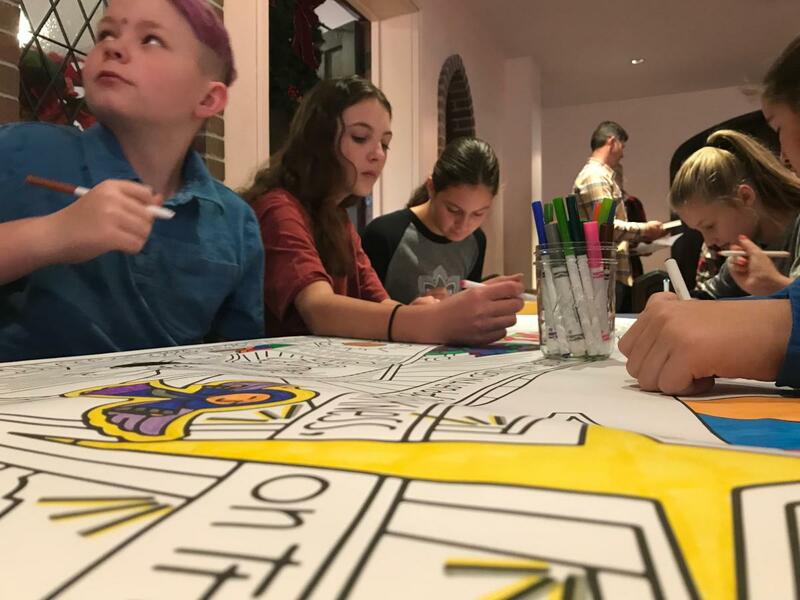 Advent, a time for preparation, a time for searching, for expecting Jesus to come into our midst, Emmanuel “God with us.” This year we tried something different for our church, and reached into the depths of creativity bringing forth an incredible worship space for Children and Youth. 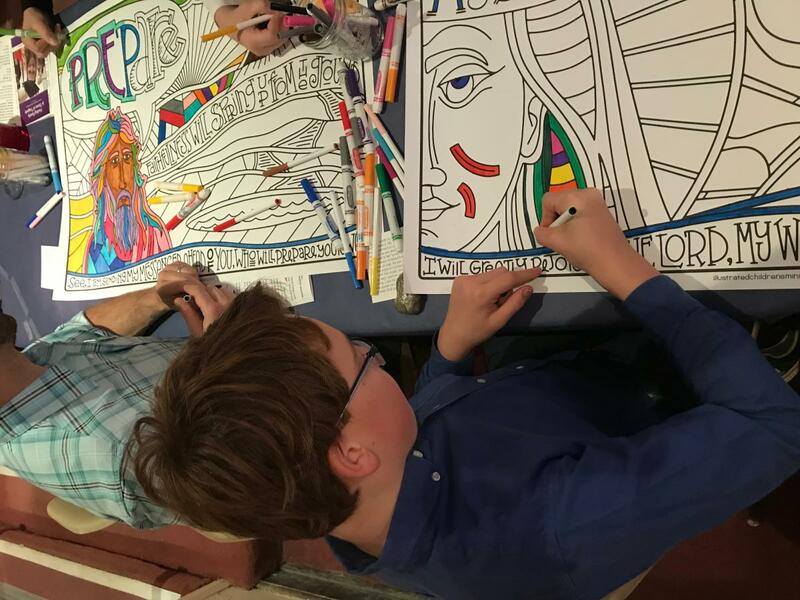 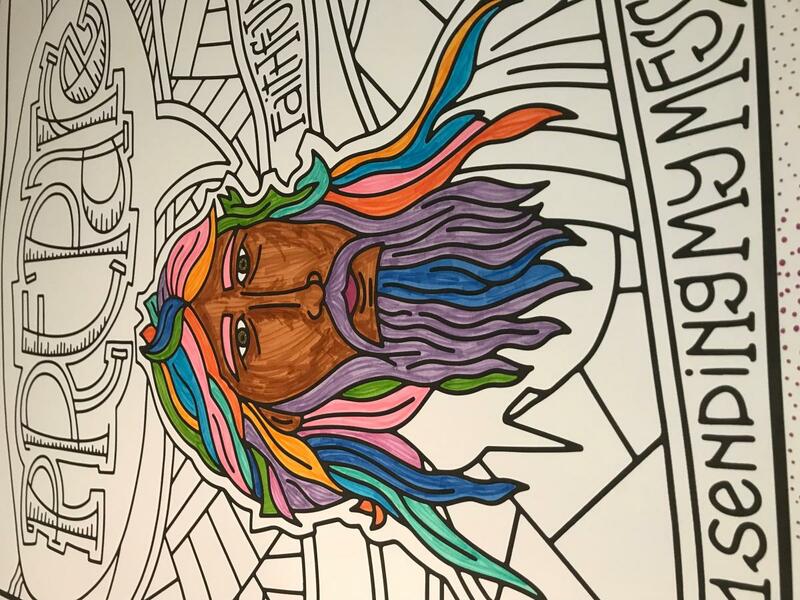 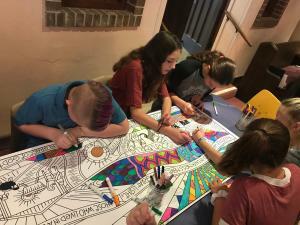 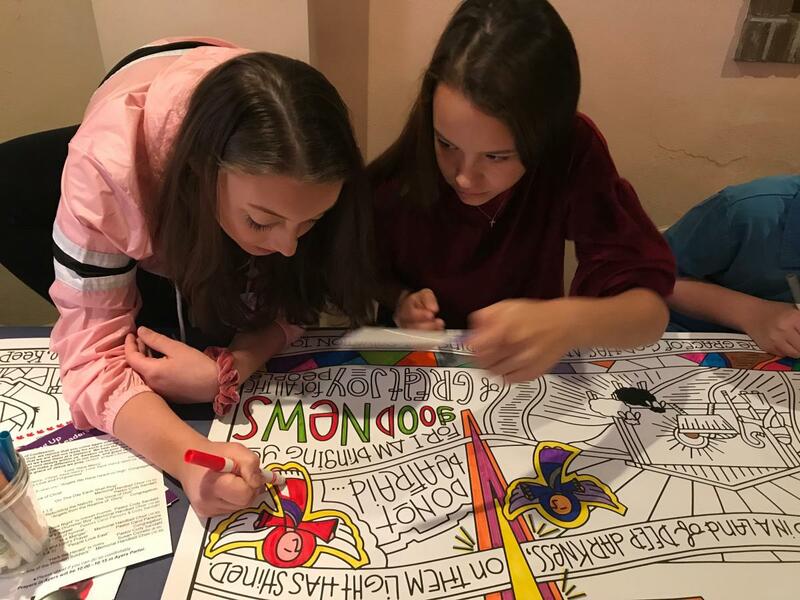 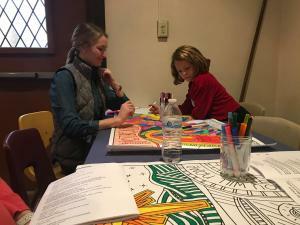 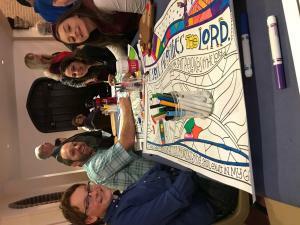 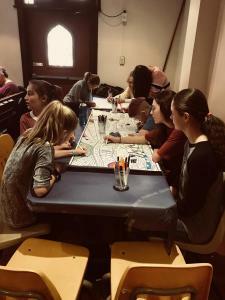 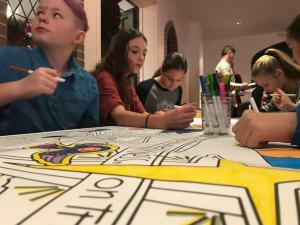 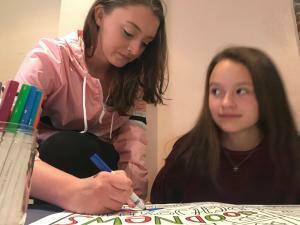 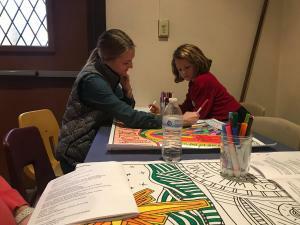 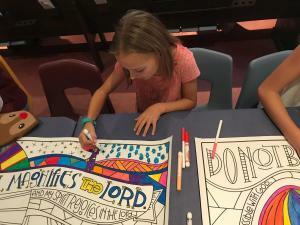 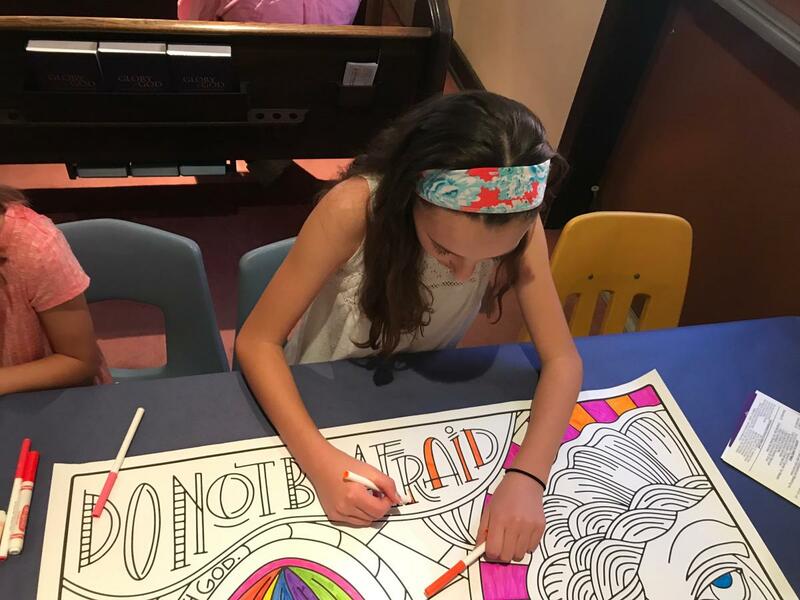 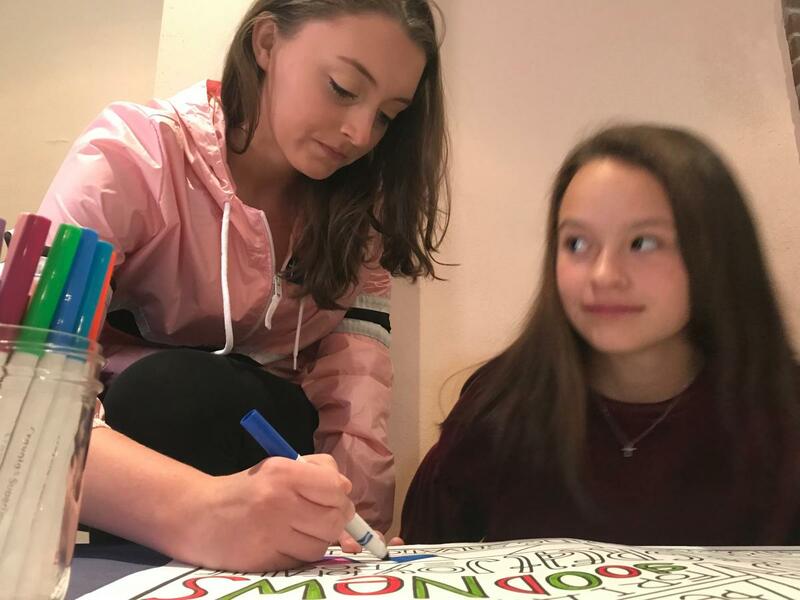 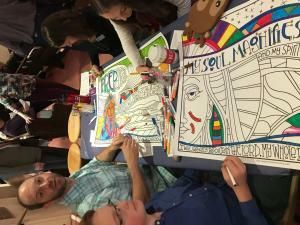 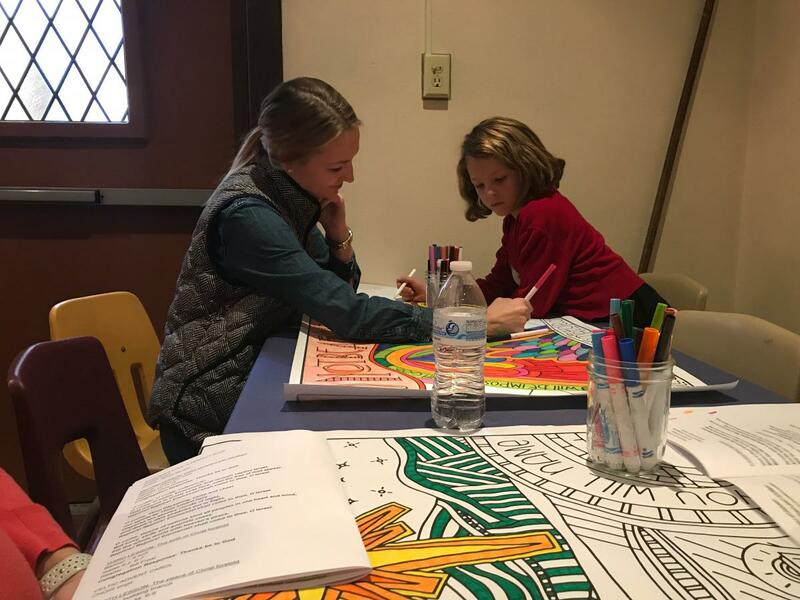 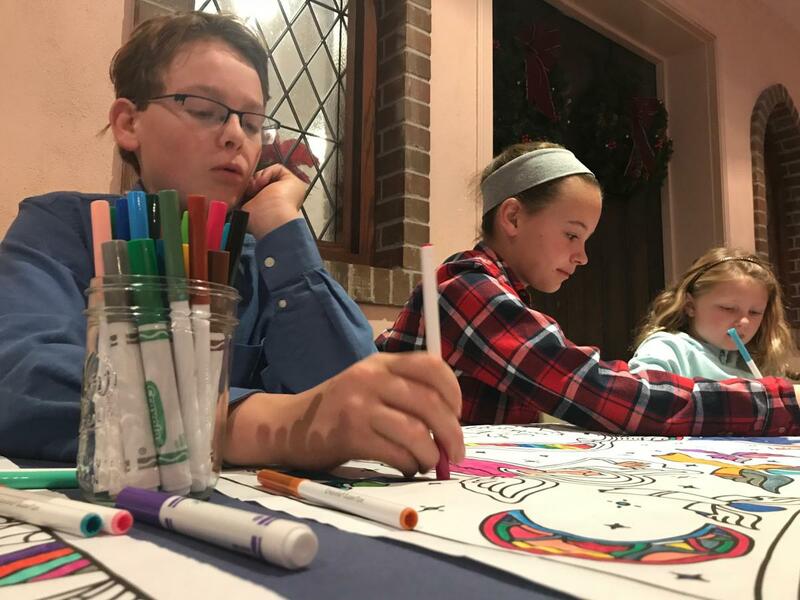 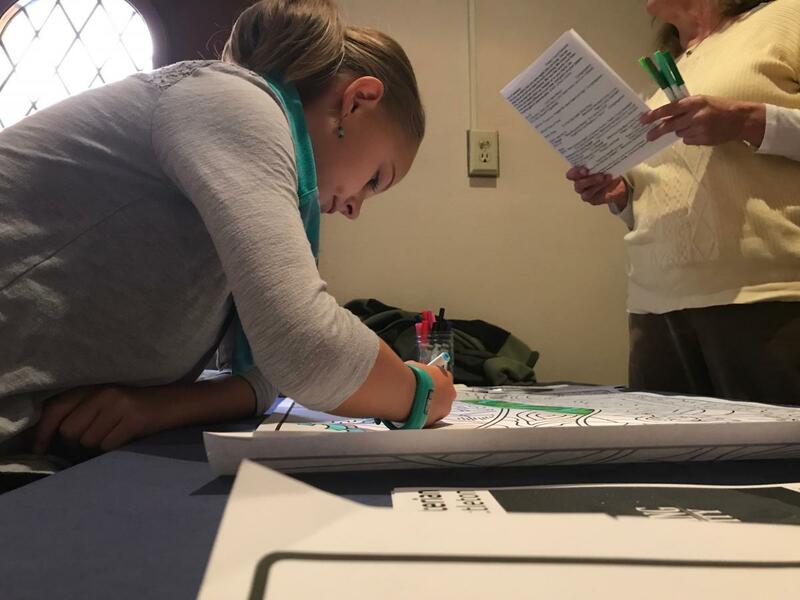 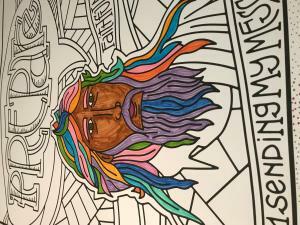 Thanks to beautiful coloring posters created by Illustrated Children’s Ministry we made a space in our worship service for children and youth to come and color during worship. Coloring gave them the chance to listen with their hands during worship and gave them coloring pages to connect with Advent. 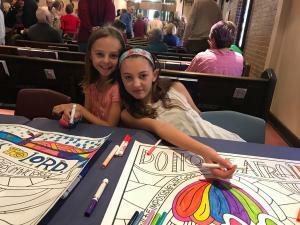 Each page was dedicated to preparing for Christ’s coming laced with scripture and themes of Christ’s coming all of their senses were filled with Advent. 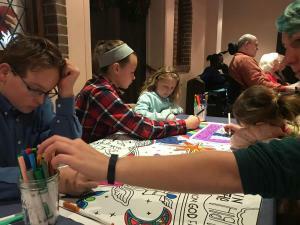 Each week we would see the tables full of children, youth and adults wanting to participate. 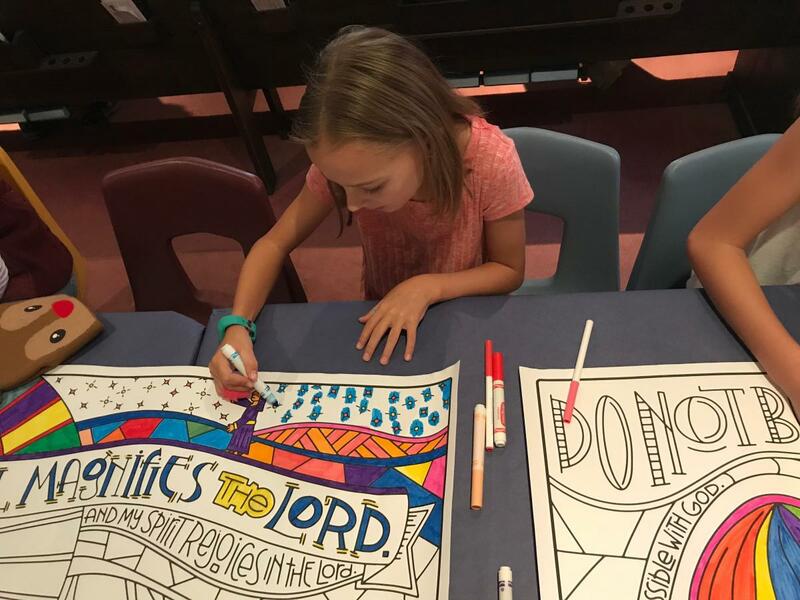 The greatest moments were listening to the comments during scripture or the sermon, they connected and seeped in lessons and scripture through this practice. 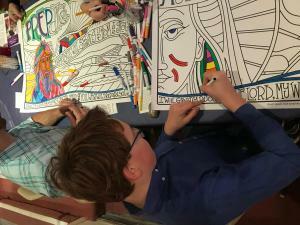 What an exciting time for us, and we are thrilled at the beautiful pictures! Come by church some time to check out the finished project!